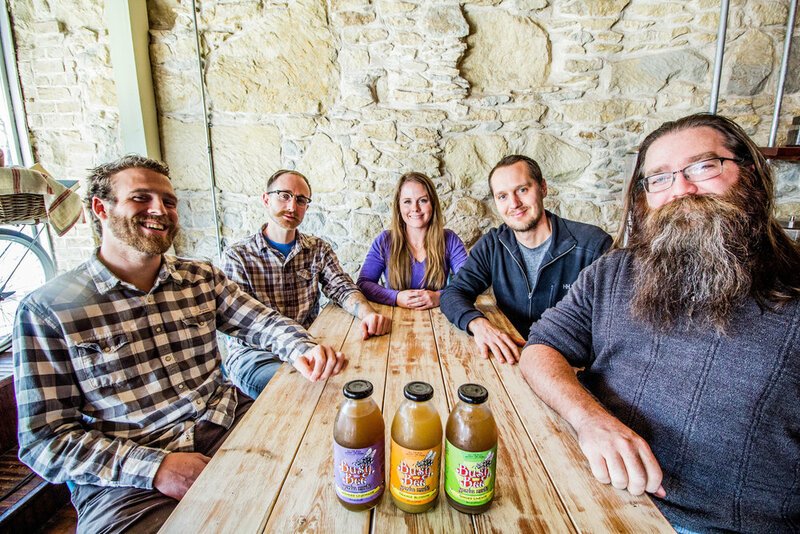 Busy Bee Yerba Mate was born when five friends came together with a desire to share their passion for yerba mate with the world. Two of our flavors were first crafted at a coffee shop in San Marcos, Texas, where we watched patrons fall in love with our flavors. This let us know that we were onto something. We witnessed first hand the magic of these artisanal drinks and we wanted to share them with as many people as we could. We imagined how happy and productive of a world it would be if everyone had Busy Bee in their lives. And as nature lovers, we all saw a need for protecting our pollinating friends, like the bees. Taking inspiration from these productive members of our ecosystem, we got busy! From our humble beginnings, making 50 gallon batches out of kettles, to our humble today on a fully automated manufacturing line, we’ve never lost our vision to bring a quality yerba mate drink with integrity to the market.